Requires Red Devils Starter Set. 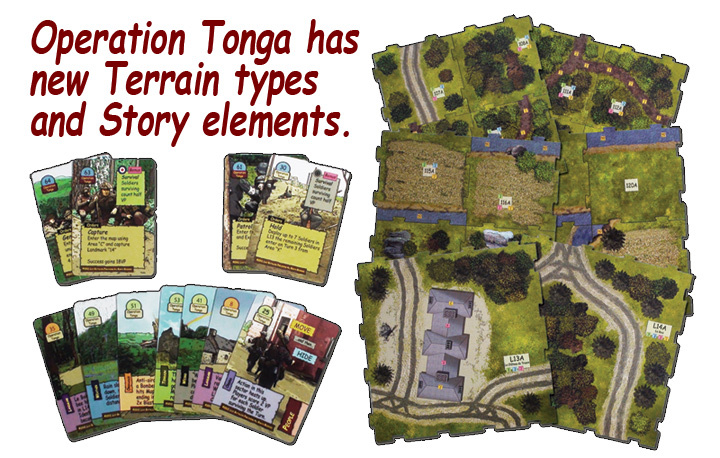 "Sergeants Miniatures Game: Operation Tonga™" expands the map and scenarios for SMG: Red Devils™ allowing up to 4 squads to engage in a single battle. 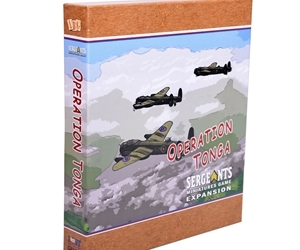 The 18 Scenarios in Operation Tonga covers the night of June 6, 1944 when the British 6th Airborne Division parachuted into Normandy between the Orne estuary and the Dives River and marshes. The region was defended by elements of the 711th and 716th Infantry Divisions and the 125th Panzergrenadier Regiment of the 21th Panzer Division. The overall objective of 6th Airborne was to control or destroy lines of communications and to secure the eastern flank of the invasion. They were there to keep German artillery away from the supply lines coming across Sword Beachhead. Compatible with both Red Devils and Pegasus Bridge.